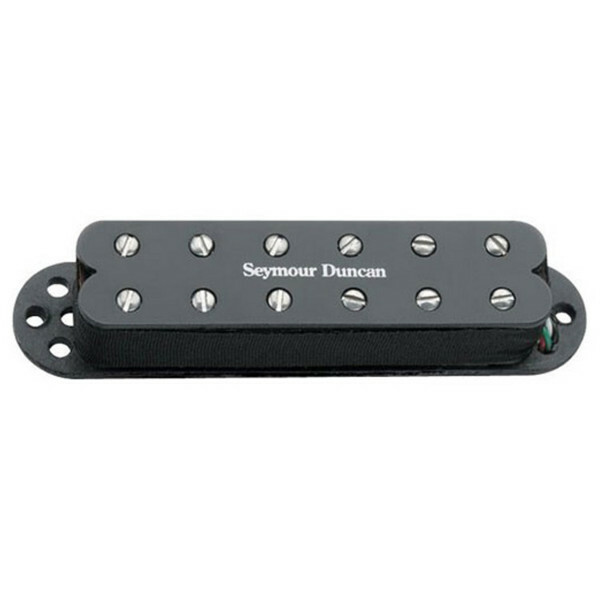 Designed to give the character of Seymour Duncan's popular JB model humbucker but in a single-coil size, the SJBJ-1 JB Jr. bridge pickup is an impressive humbucker. This pickup comes in black. The Seymour Duncan SJBJ-1 JB Jr. Bridge Pickup, Black, is a high output single-coil-size "rails" humbucker, designed for the Stratocaster. This pickup is great for everything from heavy blues to heavy metal. This pickup boasts such players as Joe Perry (Aerosmith), James Pennebaker (Delbert McClinton), Sebastien Lefebvre (Simple Plan), Jeff Trott & Todd Wolfe (Sheryl Crow), Melle Vasquez (Nancy Sinatra), Jennifer Batten (Jeff Beck Band), Alex De Rosso (Dokken). The SKBJ-1 bridge pickup boasts a twin coil design and gives the character of Seymour Duncan's popular JB model humbucker in a single-coil size. You can fine tune the balance of your strings with the adjustable pole pieces, which more closely emulate the magnetic field of a full size humbucker. Experience great harmonics and a sweet high-end. This pickup has a reduced output and more treble response compared to the Hot Rails. It also comes with four-conductor hookup cable. The SKBJ-1 is designed to work for all well-balanced instruments and works equally well with maple and rosewood fingerboards.